2 1/8 Inch Square Universal Tire Patch BOWES TR 22116 Box of 30. Perfect for nailhole repairs in passenger and light trucfk tires. 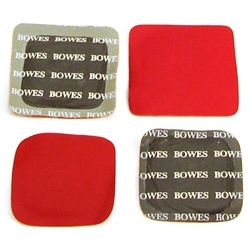 These repairs have gray vulcanizing gum and are available with red or blue poly backing.